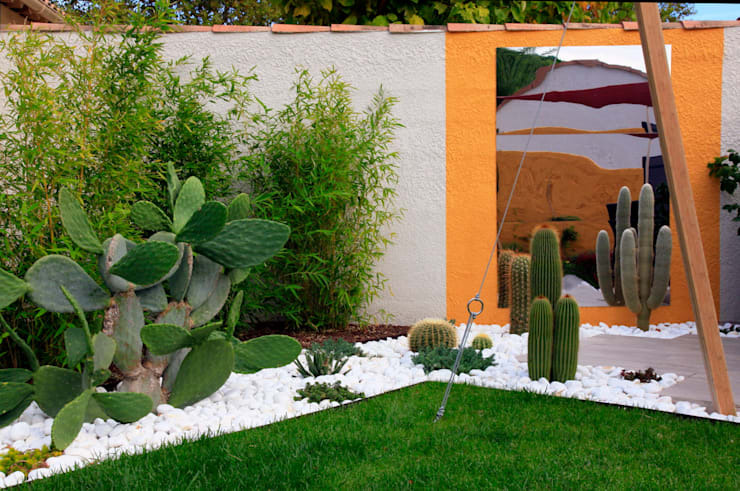 Is your garden ugly and unsightly? In need of an upgrade from the lawn to the lighting and even the floor beds? 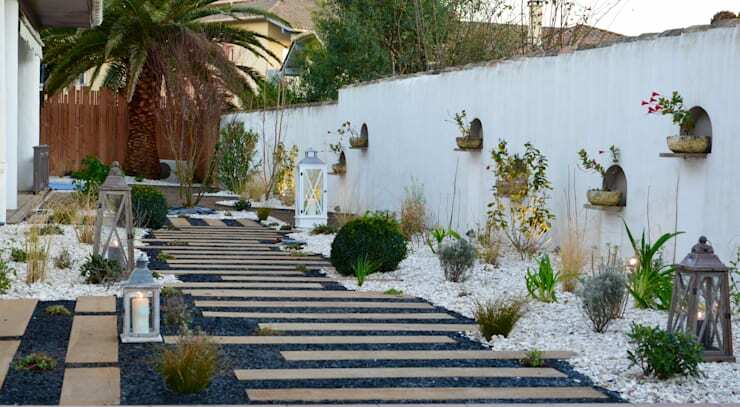 In this homify feature, we look at 19 gorgeous garden ideas to enhance tranquillity and serenity, just in time for the New Year. 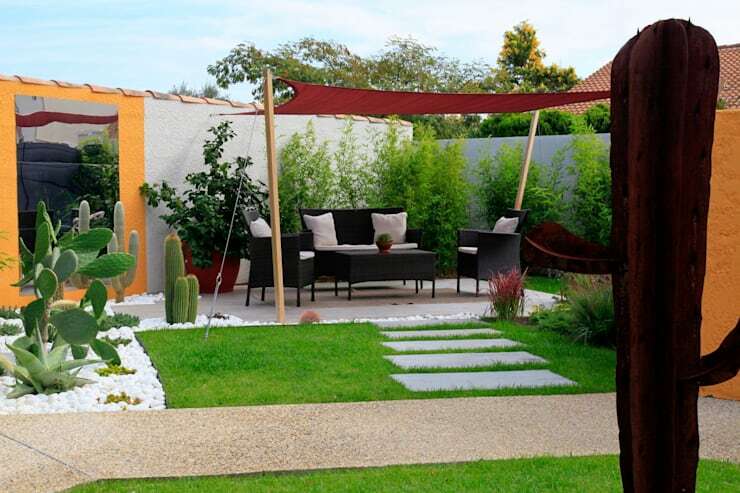 Our professionals have included helpful hints to organise, decorate and style your garden, regardless of its size. 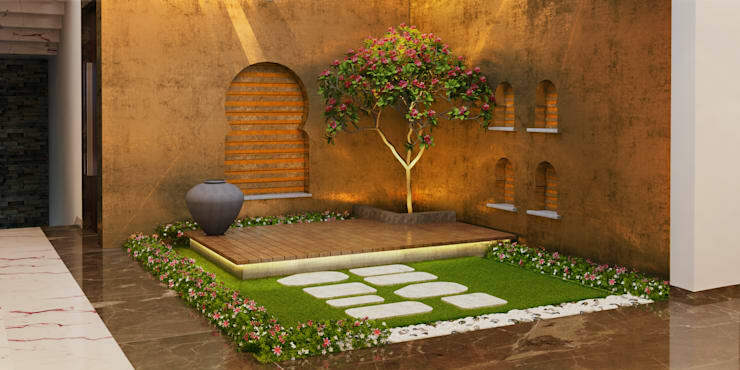 Sometimes all we need is some sunshine and fresh air to handle the stresses and hectic days that life throws us, and what better way to do so than have access to the comforts of nature by incorporating its splendour into your own backyard. 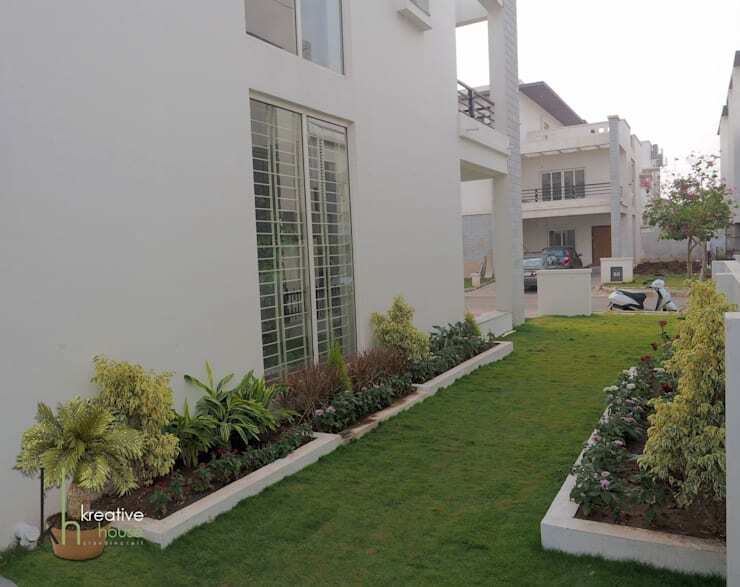 Think of that panoramic landscape, sensational sights of the environment or even those pretty plants that bloom with greenery during certain seasons, it would be great to enjoy those spectacular moments in comfort and style and a patio, terrace and garden zone could just be the perfect option for you. Let’s be inspired now! 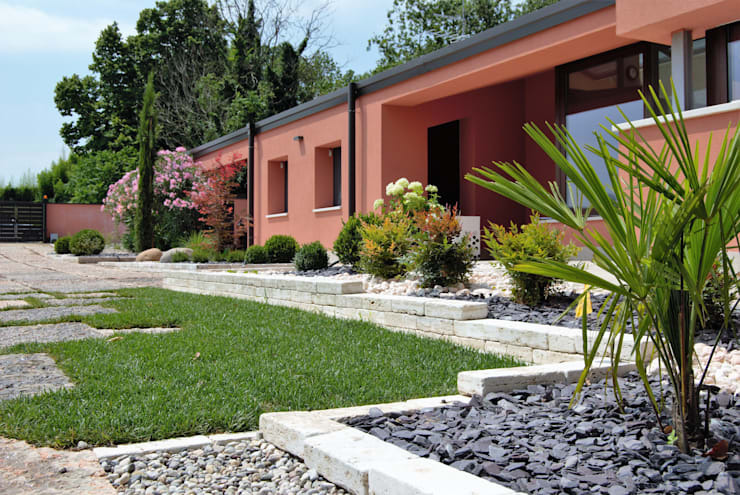 It is important to avoid soil erosion with some stone walkways and garden zones. 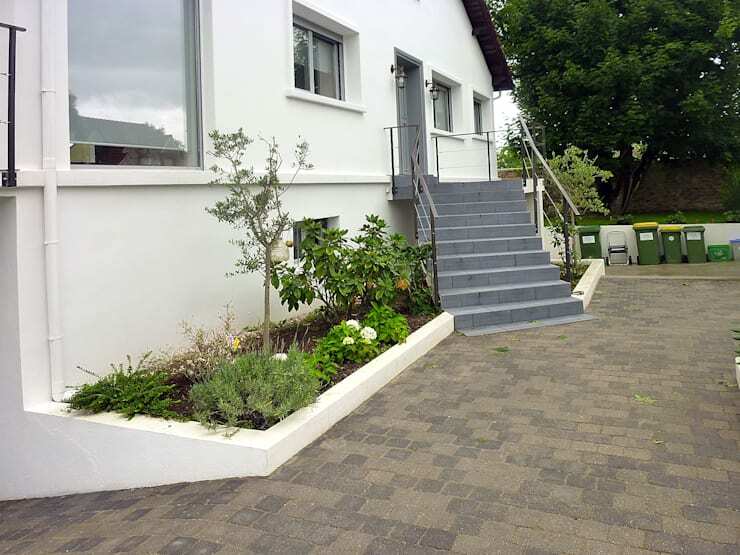 Choose your flowers and shrubs carefully to decorate the garden at your home entrance. Make the most of your patio by decorating it with some gorgeous greenery and enjoy conversation in the sun with loved ones. Add a cactus for an interesting effect. The eastern influence of décor is elegant with some niches for seating. Its natural, elegant and stylish, while being affordable too. Utilise all the corners to create a comfortable and sophisticated setting. 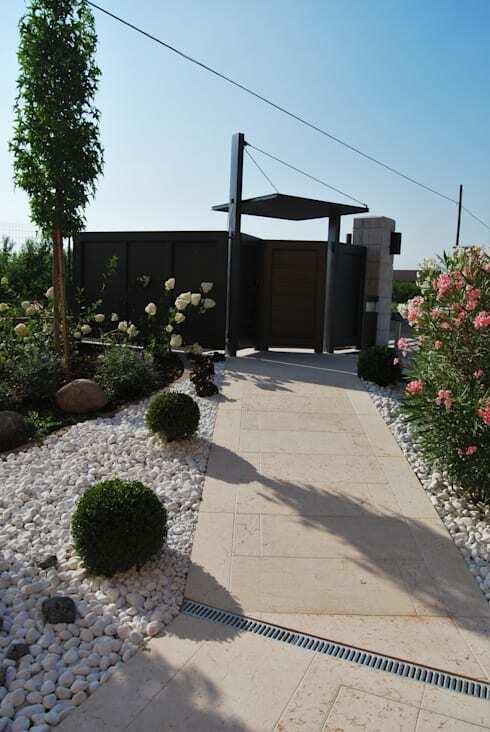 Make your walkway and garden entrance enticing and welcoming with some pretty flowers, white pebbles and greenery. 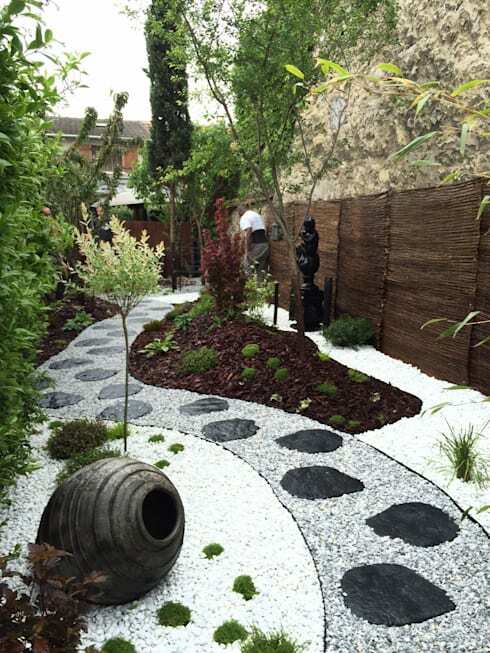 If space isn't a problem then look for an enchanting way to decorate your garden, with fairytale inside curvy pathways of course! 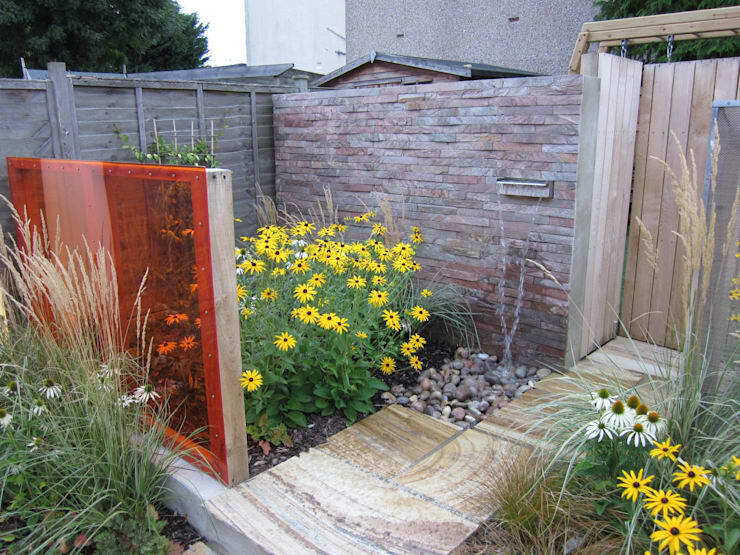 These stone slabs act as a pathway throughout the garden allowing the vegetation to remain intact. 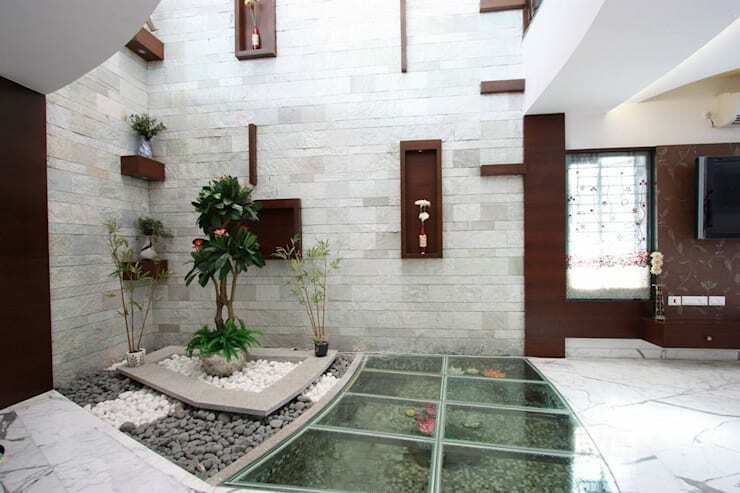 If your outdoor space is limited, then bring the garden inside with this small lobby feature. Decorate your small backyard with some sensational stone cladding. 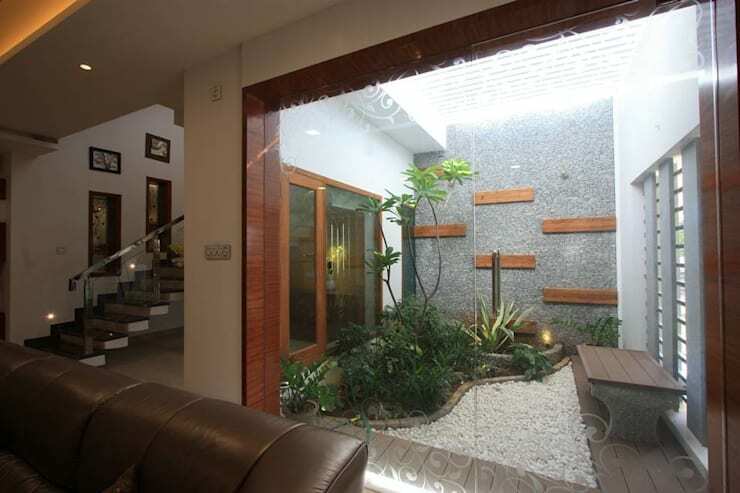 This lovely option is attractive while being connected to the living room too. 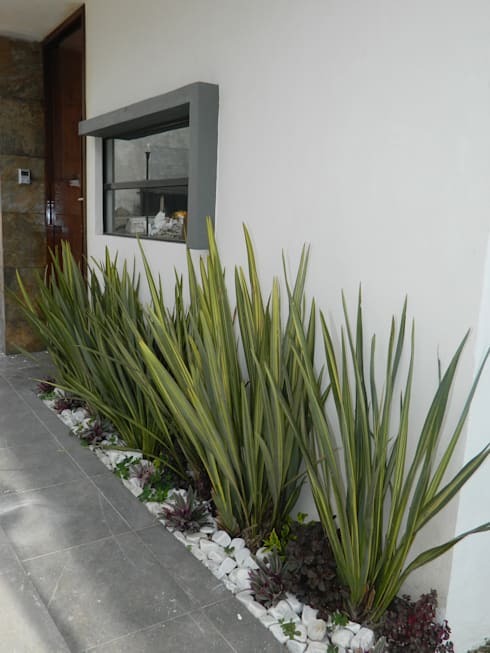 You cannot go wrong with a small planter at the home entrance. 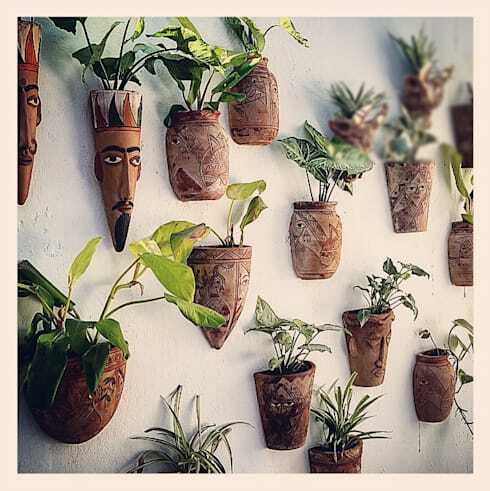 Maintain order with several planters in the backyard. 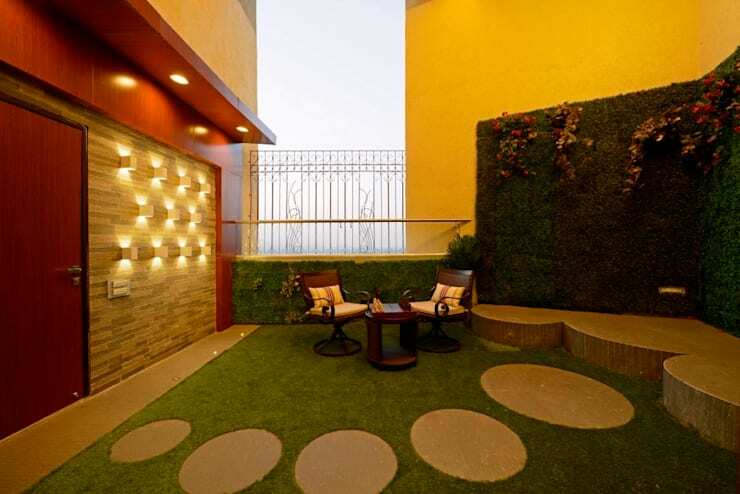 Warm colours and lighting make for a comfortable and friendly patio. This brilliant yet small space has it all! There’s nothing more striking than greenery to completed a minimalist home. 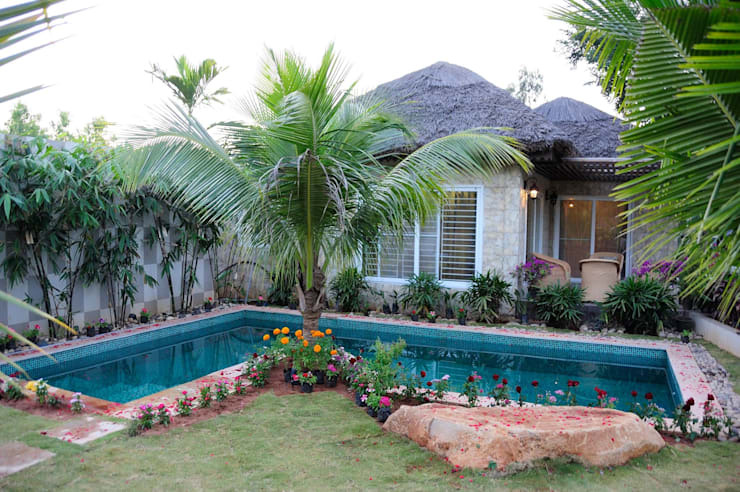 Which garden ideas appeal most to you?